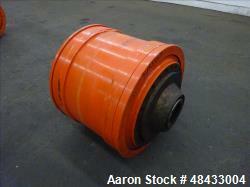 Below is Aaron's inventory of unused and used centrifuge parts. 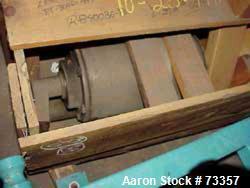 If you are looking to sell your used centrifuge parts submit a request online or contact Erik Eichert at 630-238-7480. USED: Alfa Laval NX-418 axial conveyor, 55 mm, TM21 hard facing. 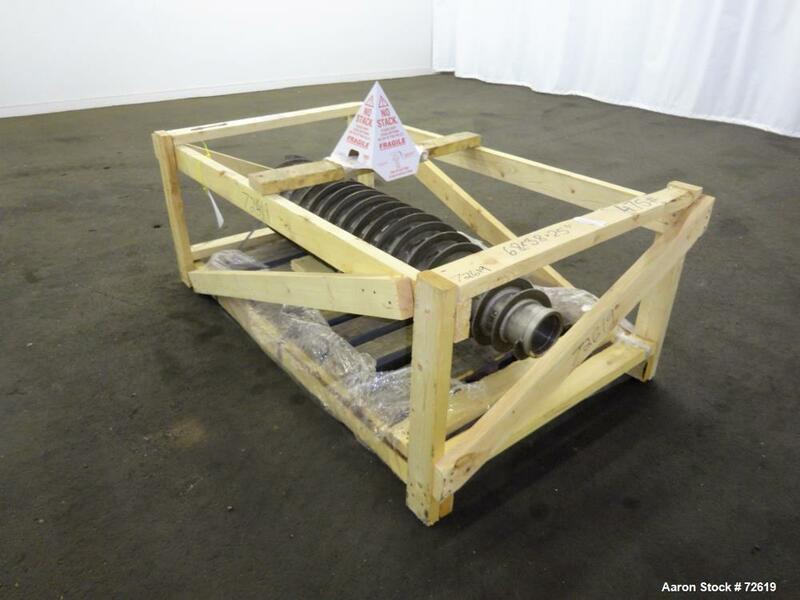 Used- Alfa Laval NX-418 Decanter Centrifuge Conveyor, Stainless Steel. 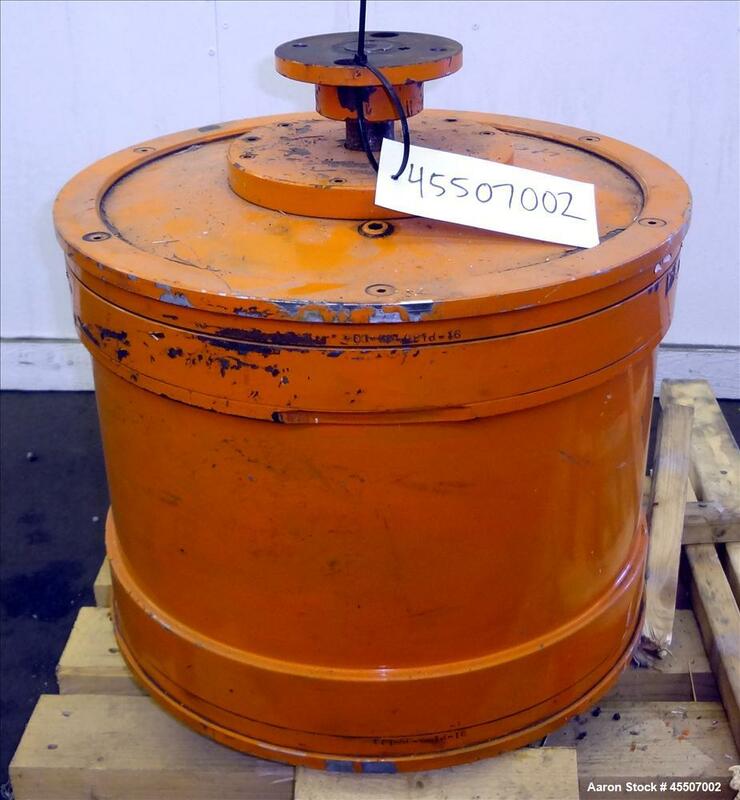 Unused- Bird Decanter Centrifuge Gearbox, model PA69H. 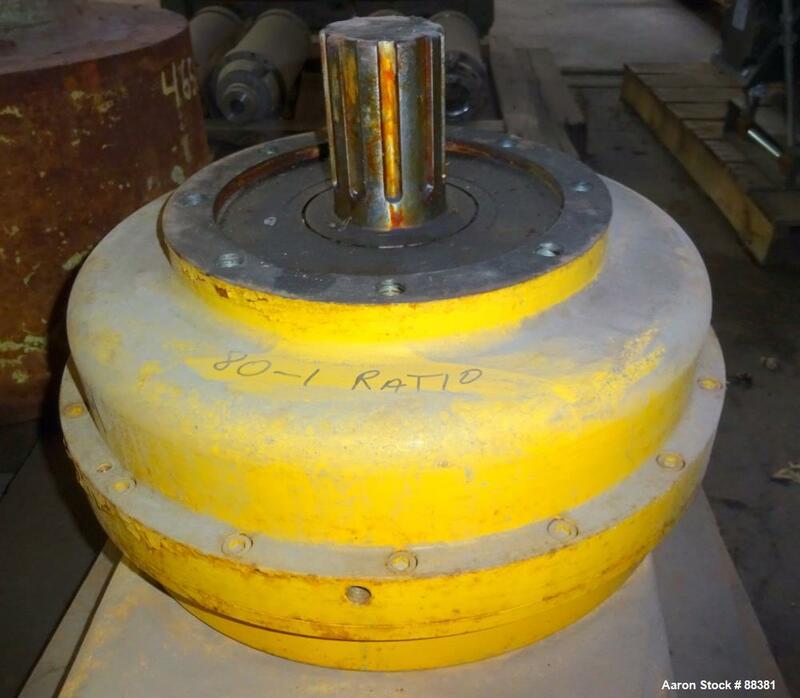 80:1 ratio, rated at 53,500 in lbs. 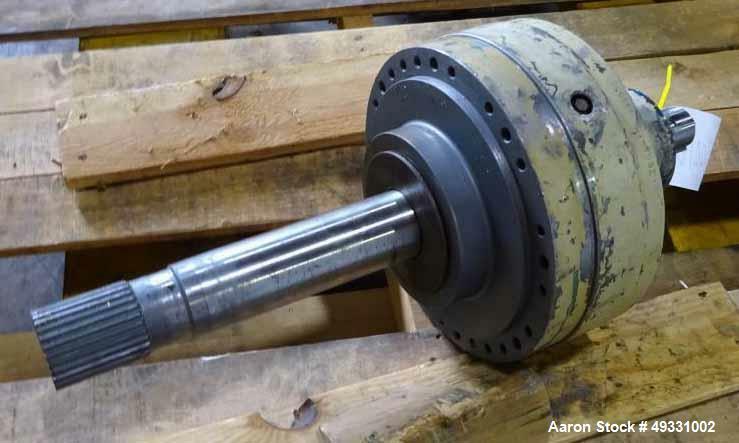 Standard male spline. 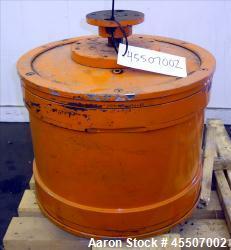 USED: Spare bowl for Dorr Oliver Model C-18 DOF centrifuge. 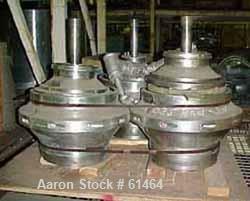 Used- Dorr Oliver Merco Bowl & Rotating Assembly for a Decanter Centrifuge, Model 16L. 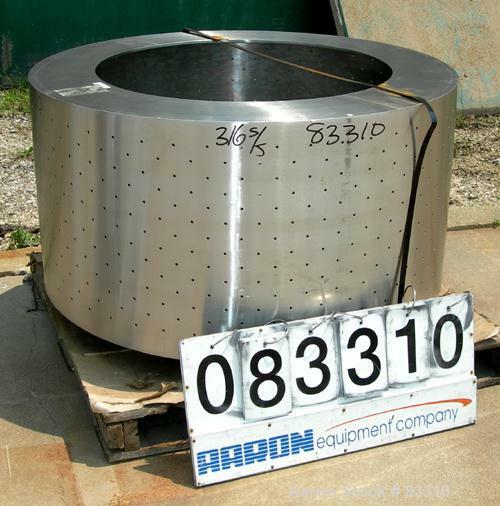 316 Stainless steel construction on product contact areas. 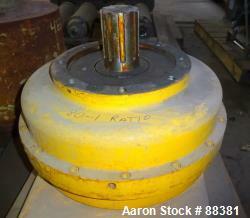 5" Double lead conveyor with welded hardfacing, auger style solids discharge, plate dam liquid discharge. 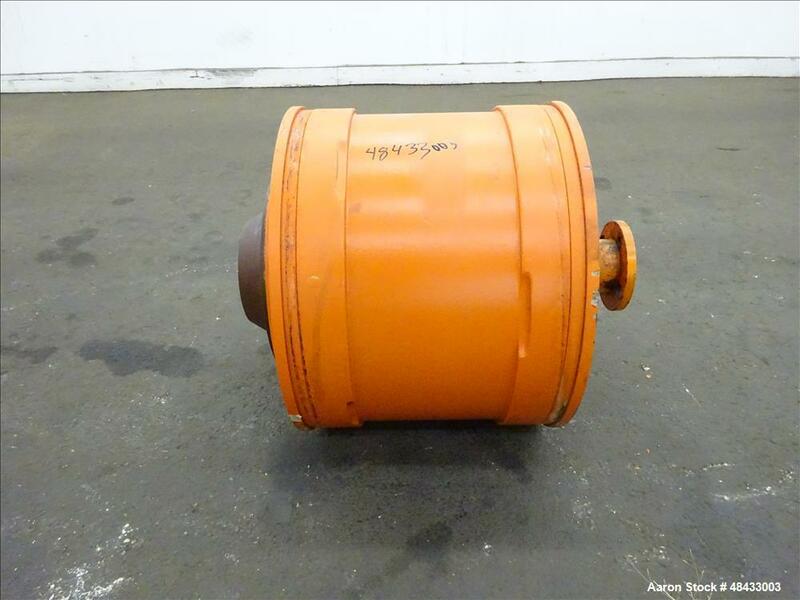 Used- Flottweg Decanter Centrifuge Gearbox Assembly. 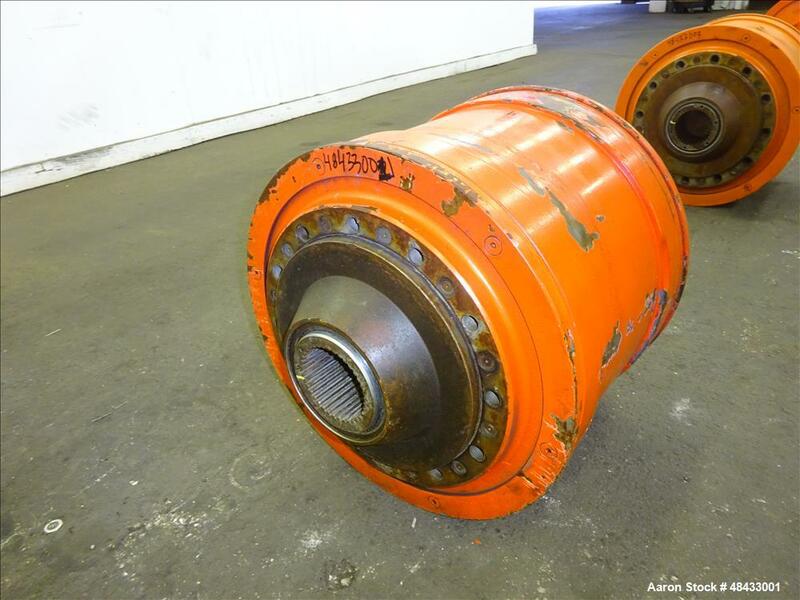 Used- Flottweg Decanter Centrifuge Gearbox Assembly. 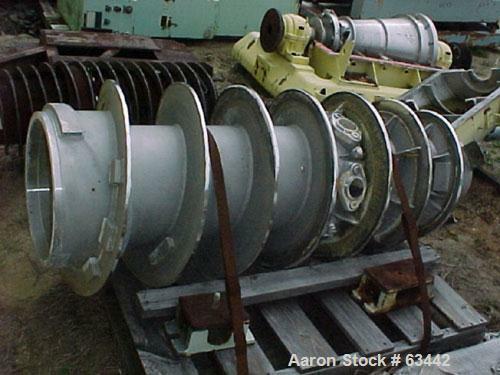 From model Z4D-3/441 tricanter solid bowl decanter centrifuge. 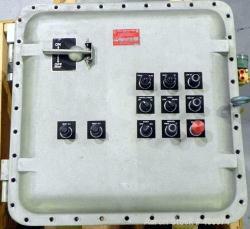 Unused- Katema/Tolhurst Basket Centrifuge Explosion Proof Control Panel. 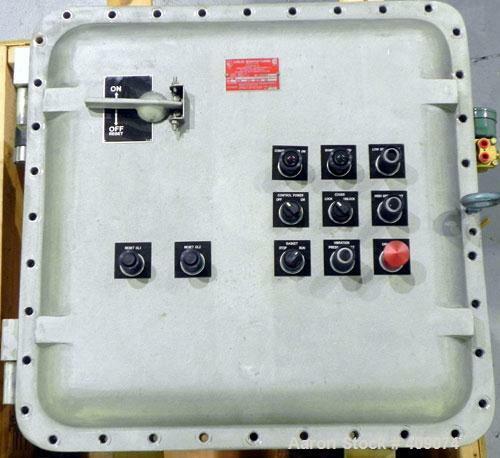 Manual design, Class I, Group C & D enclosure. Used- Sharples P-5000 Conveyor, 317 Stainless Steel. 5" Pitch, large body design with 4 bolt feed nozzle. 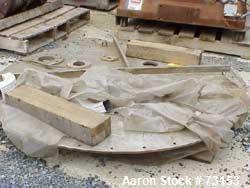 STC hard facing. 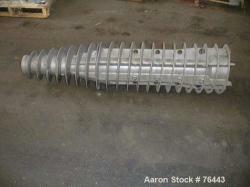 Used-Sharples Super-D-Canter Feed Accelerator, 316 stainless steel. 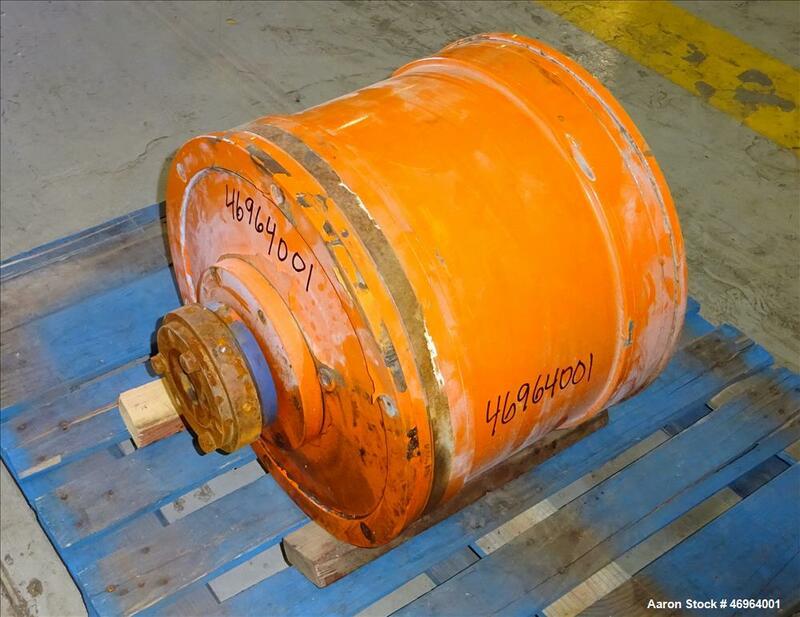 Used- Sharples Super-D-Canter Centrifuge P180 Gearbox, 95:1 Ratio. 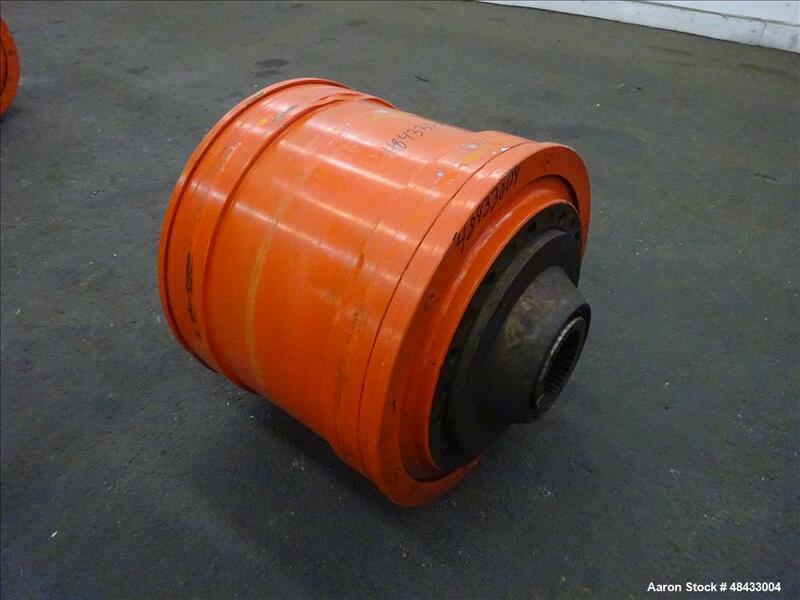 Used- Sharples Super-D-Canter Centrifuge M220 Gearbox, 95:1 Ratio. 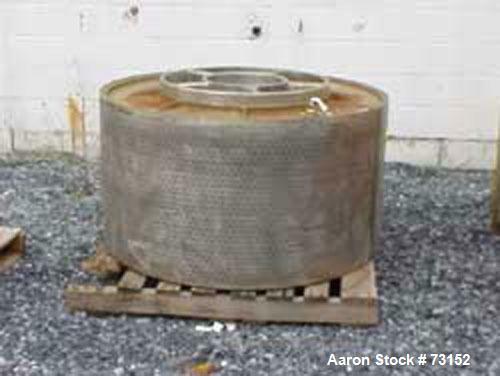 USED: Sharples T-1 super centrifuge stainless steel bowl assembly, clarifier design. 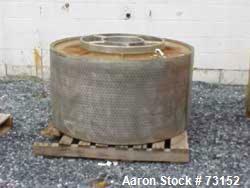 USED: Parts for a Tolhurst 48 x 24 basket centrifuge consisting of a stainless steel perforated basket. 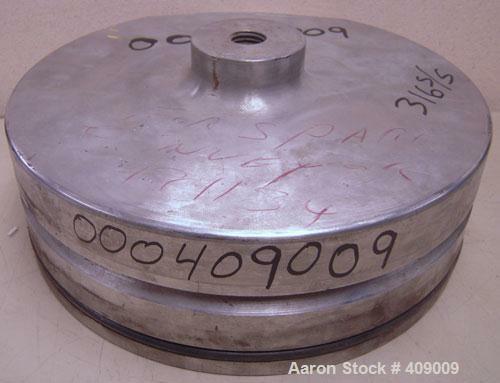 USED: Parts for a Tolhurst 48" basket centrifuge consisting of a stainless steel top assembly. 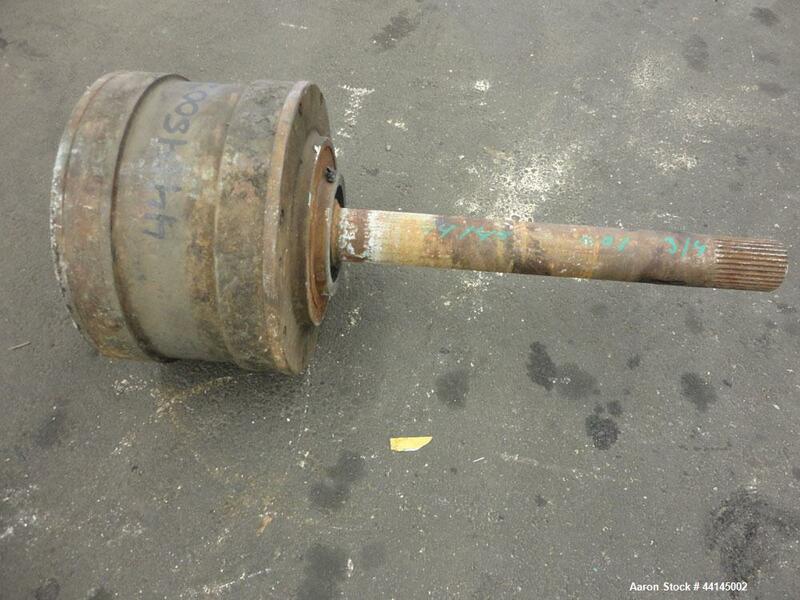 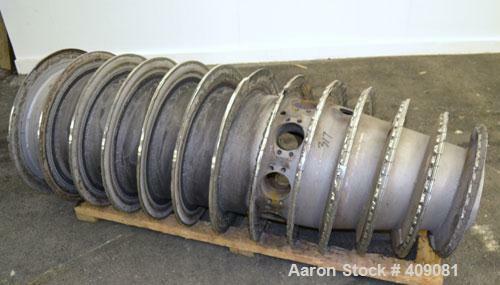 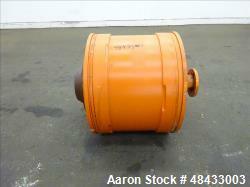 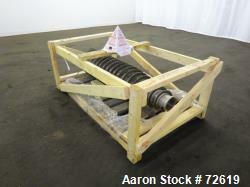 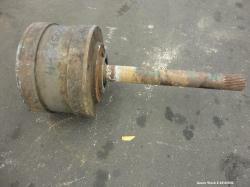 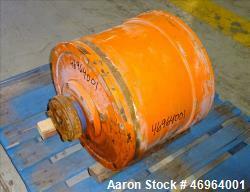 Used-Parts for a Tolhurst 48 x 30 or 48 x 24 basket centrifuge consisting of an unused spindle assembly. 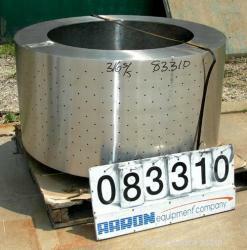 USED: Tolhurst perforate basket centrifuge bowl only, 48" x 24", 316 stainless steel. Top load, bottom unload. 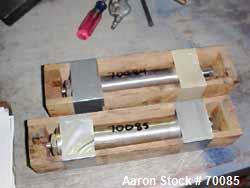 Rated 73 pounds per cubic foot at 1080 rpm.